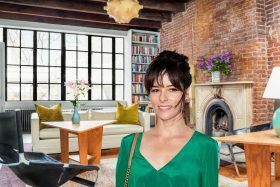 Queen of indie films Chloë Sevigny unsurprisingly lived in the East Village in 2005, scooping up a garden-level co-op at 119 East 10th Street for $1,199,000 and becoming neighbors with fellow indie royal Parker Posey. By 2013, Sevigny made the inevitable move to Brooklyn (she stated that the East Village had become like a frat house) and sold her one-bedroom Manhattan pad for $1.76 million to tech power couple Halle Tecco and Jeffrey Hammerbacher. Despite the stylish renovation that the couple undertook, they listed the residence this summer for $2.2 million.